I recently had a not so great Kale Salad at a restaurant. The menu ingredients sounded fabulous but with Kale you need to massage it a bit with your hands so it “wilts” and this one wasn’t. Here is my take on it, yum!! 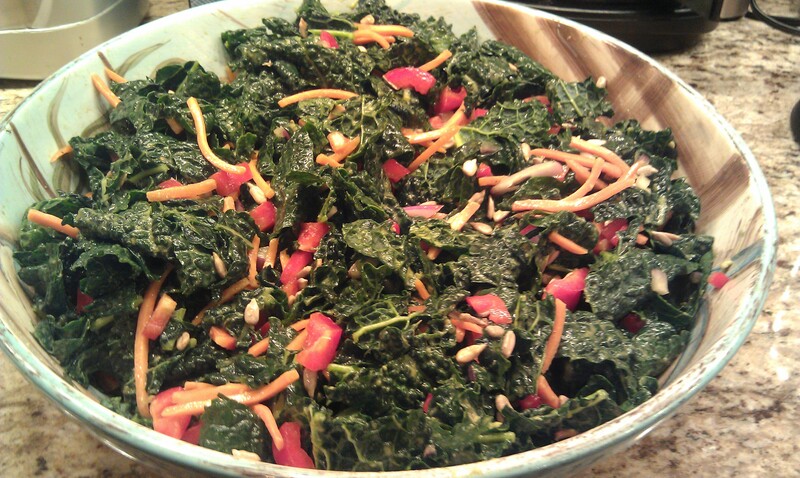 We like a lot of kale salad and it keeps really well for a few days. But if you don’t want as much just half the recipe. 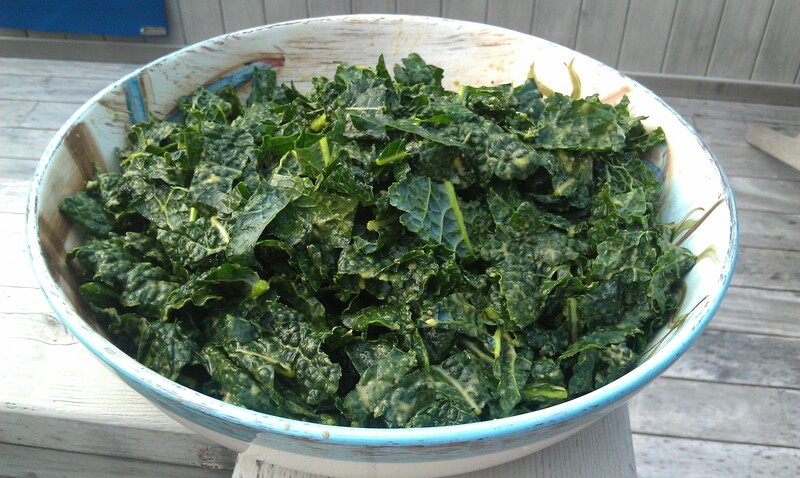 This is just a base…Combine and Massage the avocado, lemon juice and braggs into the kale. Then add whatever is fresh, you have in the house or love in a salad. I added — raw sunflower seeds, diced raw red onion, shredded carrots and diced red pepper. hahaha thanks Kim! You are amazing!!! You will love this, just make sure to really massage it 🙂 I find that part so fun!! But why did you give up all oil? Make sure you are still getting enough healthy fats 🙂 avocado will help of course :):):) miss you!!! aww thanks!! I do love me some Kale!! Yes, I still eat avocado and I am in love with coconut milk so I am good on the fats. Well I read a few articles on olive oil and other oils and it has convinced me to cut them out as much as possible.